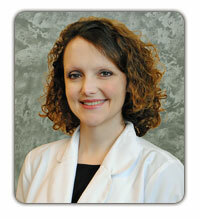 Lauren McDermott is a certified Physician Assistant. She joined Atlanta Breast Care in the fall of 2014. She is the daughter of a breast cancer survivor and has a true passion for breast health. Prior to joining our practice, Lauren gained experience working alongside a breast surgeon in North Georgia and then by working in the Emergency Department. She earned her Master of Science in Physician Assistant Studies from South University in 2010 and her Bachelor of Science in Biology from Our Lady of the Lake College in 2007. Lauren is originally from Louisiana, but has made Georgia her home. In her free time, she enjoys spending time with her two dogs, hiking, jogging, reading, shopping, and spending time with family and friends.